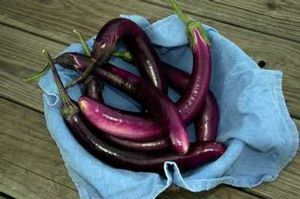 Early to mid-season Asian type with 12" x 1½" pale purple fruits that darken at maturity. Appealing sweetness and uniform slices make this a cook's favorite. Stress tolerant. 65 days.